The ultra-high speed inline mixer PC1-60 (UH) for bitumen emulsion pilot production is designed by PerMix for our customer in Europe. It reaches a max. speed of 13,000rpm (tip speed 40m/s). 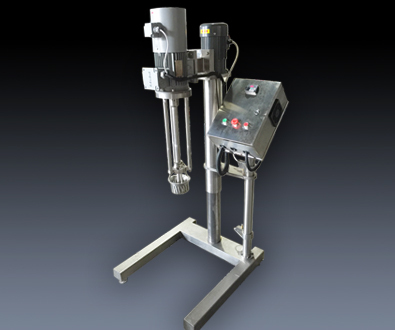 PerMix designs the new jet mixer with electric lifting stand for our Indonesian customer for fast dissolving of milk powder into water without lumps. 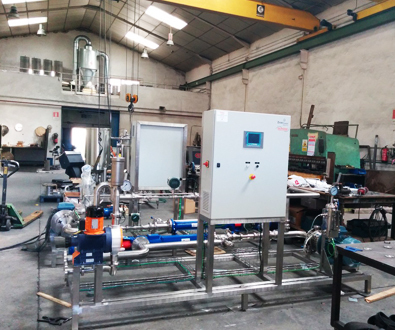 The two sets of inline mixers delivered to Spain have been successfully installed into the production line and ready for delivery to customer’s site for commissioning.